Summer season is here, which means that most of us are already tempted to turn on the ACs and beat the heat. AC installation in Zirakpur, a place this hot and humid, can mean heaven for most of us. No more sweaty afternoons in this horrific weather. No more sleepless nights, tossing and turning because it is still hot under the fan. It is so more physically and psychologically pleasing to hear the whirring sound of the air conditioning unit in the horrid weather conditions during summers. Now, it might just be the weather, or it could be us. Our tolerance for subsisting adverse conditions degrades as we grow older. Whatever it is, the simple idea of an AC unit in the house feels like heaven. No matter how hot it might be, some of us never go forward with the idea of us installing an AC in our homes. Nevertheless, adding one eases your life, and it is much cheaper than you think it is. 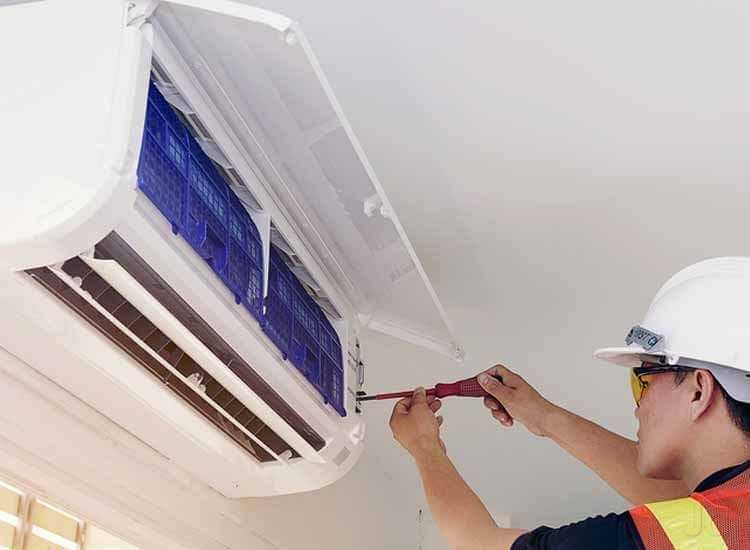 Despite the comfort it provides, installation of an AC unit is a hard and crucial job. If done right, the unit will give you maximum cooling, needless to say, extreme comfort. However, if done even slightly wrong, be prepared to spend your summers in a hot and humid hell. This also means you’ll have to frequently shell out bucks to ensure that the AC works correctly. There are several factors, which independently affect the actions required for an AC installation. Strength of the wall or window- This is a somewhat important factor and a quite simple one too. The wall, door or window strength should be ample to support the heavy AC, and its peripherals accordingly. It is needless to say that if it is not strong enough, the entire denture could fall, causing a lot of damage, injuring or maybe even killing some people. Spacing - The wall or window AC being installed needs to be set-up in a way that it has at least fifteen centimeters of space of all four sides for proper and adequate air flow. Exclusion of this will lead to possible overheating of the AC unit. Height - While there is no specific height for window ACs, split or wall ACs need to be installed at least seven-eight feet high from above the ground. This ensures maximum cooling with least energy required. Placement of outdoor unit - For effective and efficient cooling, the outdoor unit of the AC needs to be placed at a location where it is not in direct contact with sunlight and water. Also, it is recommended that the unit is set in a slightly open spot for adequate heat dispense. Distance - The refrigerant always loses some coolness in its transition from the outdoor unit to the indoor unit. This is why it is recommended that the outdoor unit and the indoor unit be placed at the least possible distance, such that all the above conditions are also fulfilled. The maximum given distance between the two can be up to fifteen meters. So there you have it folks, the simple guidelines that should and must be remembered while having an AC installation in panchkula. These tips are to be strictly followed for maximum cooling, minimum effort, and maximum safety. Have a safe and cool summer!